Contrast refers to the difference in the level of light between a background colour and the foreground. Use of high contrast can help increase the prominence of a specific area of a webpage and improve the attention paid to it by visitors. Low contrast content on the other hand can make it difficult for users to process information and in some cases reduce conversion rates. 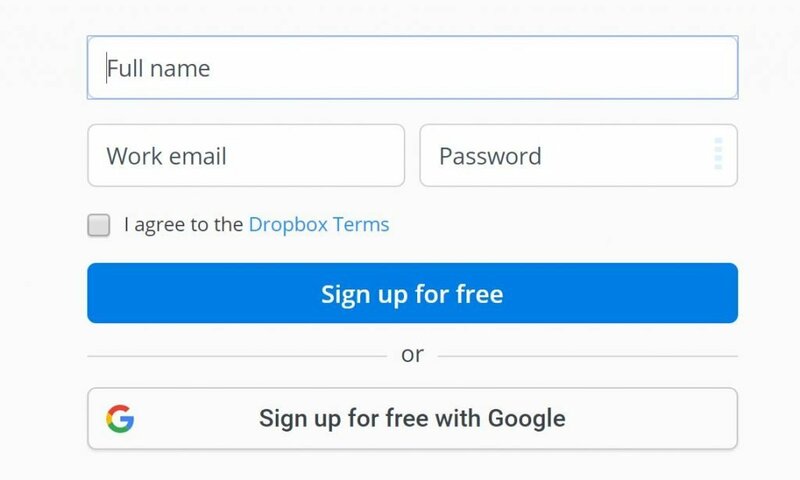 Source: Dropbox.com – Use of strong contrast ensures the CTA stands out from the rest of the page. Research by psychologists Daniel Kahneman and also Adam Alter found that low contrast text make people think more deeply, and results in more conservative behaviour as it warns our brain that the environment is potentially risky and dangerous. This conclusion was supported by analysis of posts submitted to the website Grouphug.us. 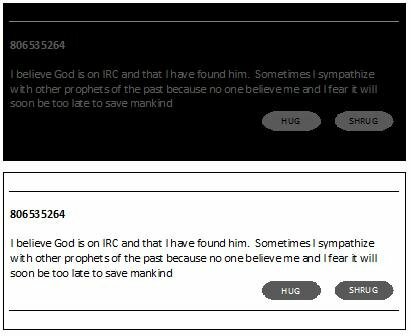 The site allows visitors to share anonymous confessions with people and obtain feedback from other visitors to the site. See also disfluency. Impact of low contrast text on behaviour – Does low contrast text kill conversion rates?